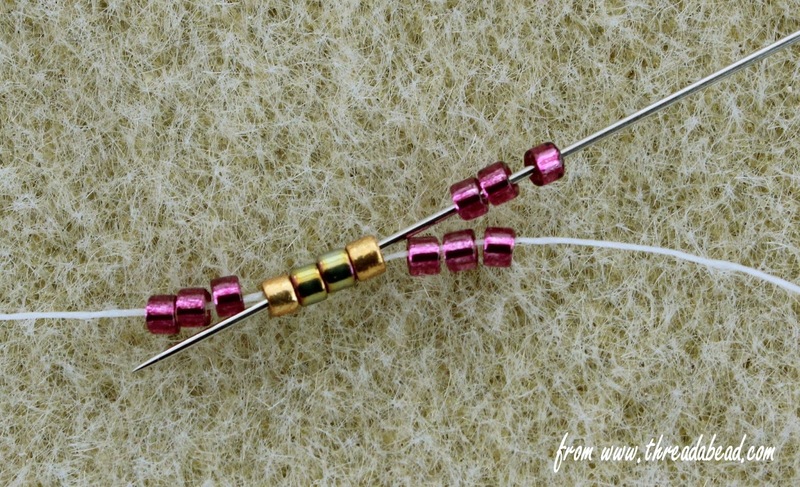 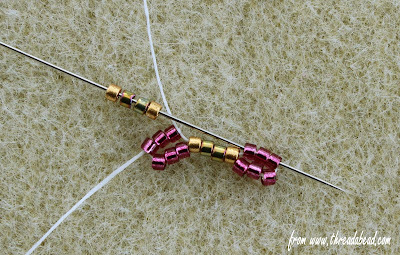 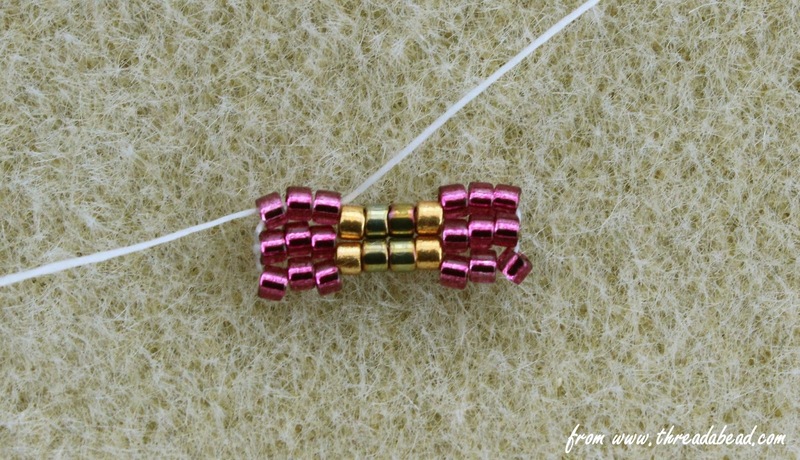 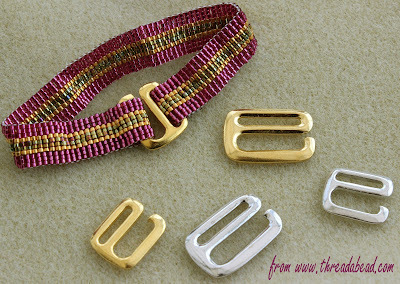 The Beading Blog By ThreadABead: FREE Project – Simple E Hook clasp bracelet bead pattern! FREE Project – Simple E Hook clasp bracelet bead pattern! 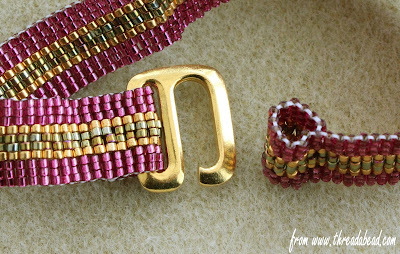 Find out how easy and quick it is to create bracelets using Odd Count Peyote utilising the brand new E Hook clasps now available. 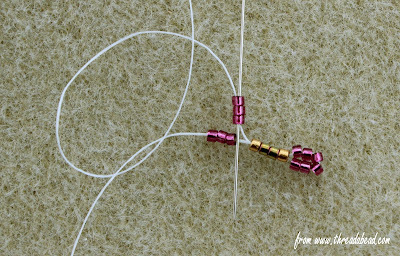 Step 2 (Row 3): Pick up 3A and pass needle and thread around the tail of thread and back into the 3A just added as shown. 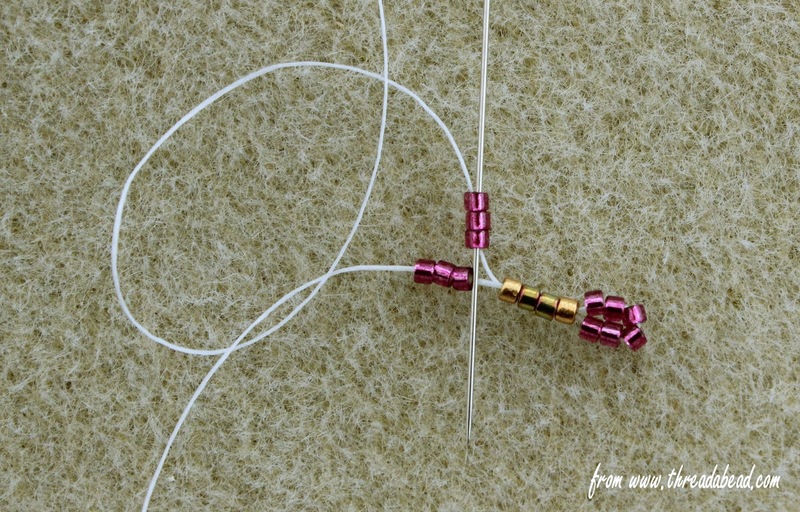 Pull thread tighter so the 3A we have just added sit nicely above the first 3A we added in Step 1. 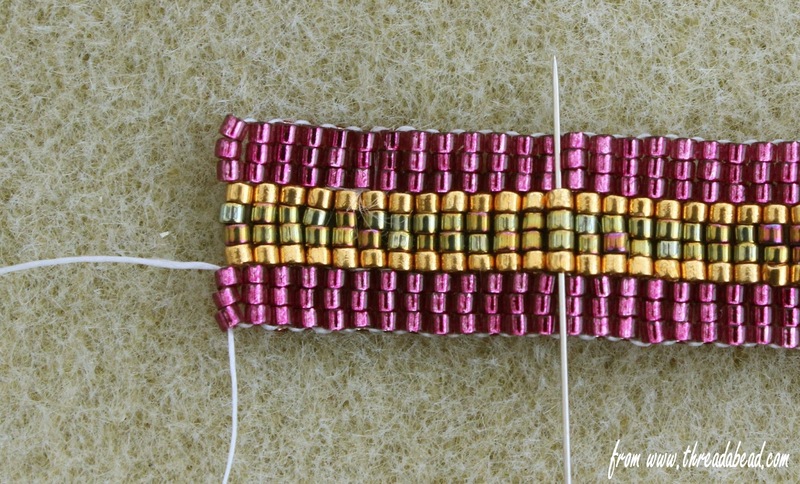 Step 4 (Row 5): Using Step 1 and 2 as guidance, add another row as shown as above by adding 3A, going through centre 1B, 2C, 1B, picking up another 3A and using the tail of thread to secure this 3A. 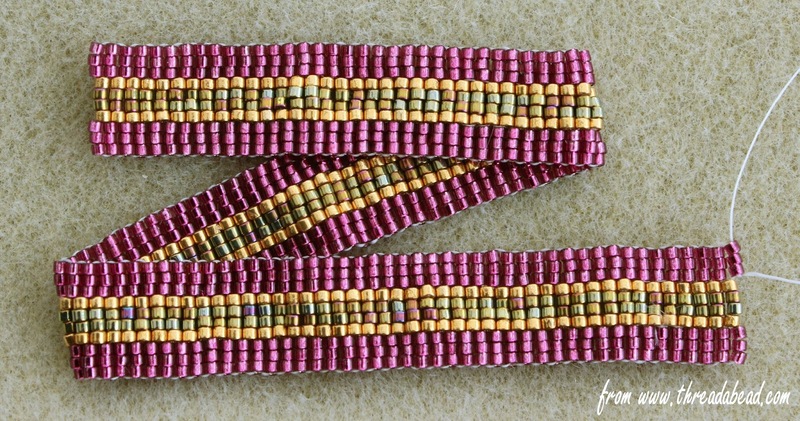 Step 5: Repeat Steps 3 & 4 until your beadwork is around 20cm/7.9 inches in length. 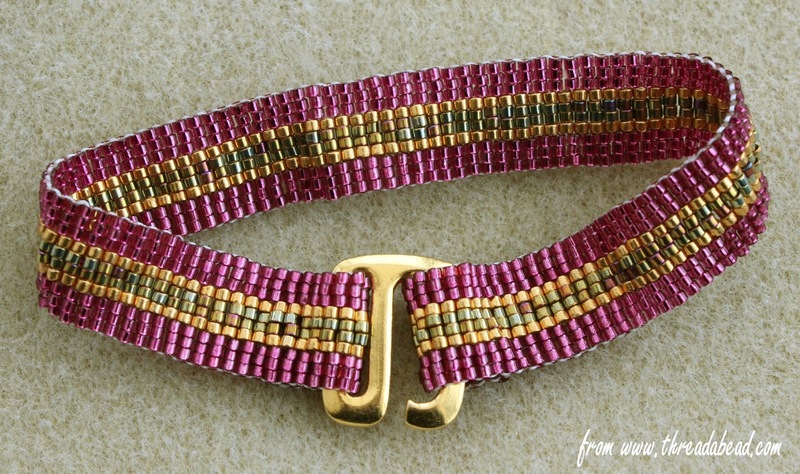 This will make a bracelet around 7.25 inches – adjust accordingly to your wrist size. 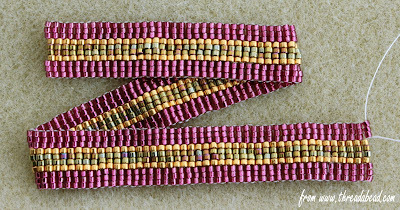 Step 6: Add another row like Step 3 but count 13 1B, 2C, 1B beads in from the edge and use these beads in new row as shown: Tie off both threads by zig-zagging back through several beads. 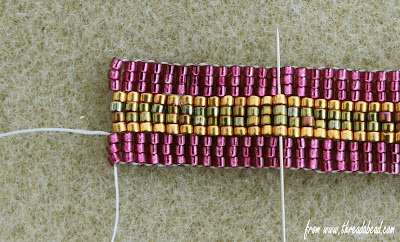 Step 7: Repeat Step 6 on the other side of the beadwork using a new piece of thread threaded onto one of the 3A beads on the last row, however add the clasp as you are folding the beadwork over. 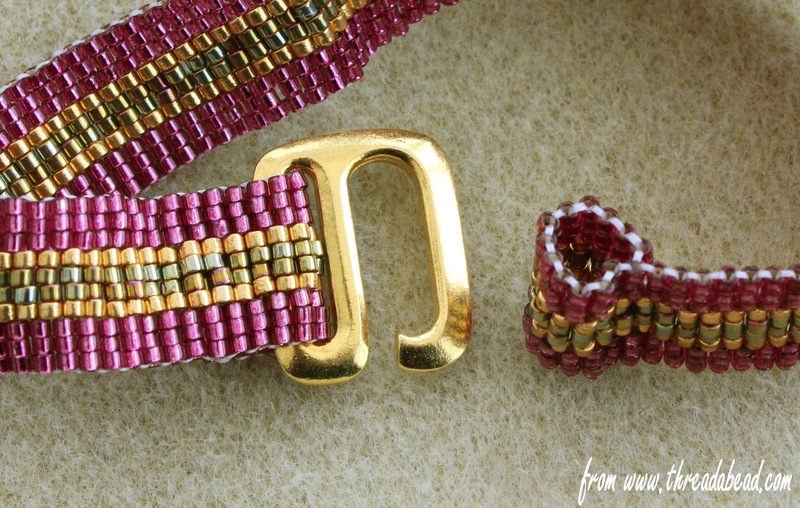 Your beadwork should now look as shown and your bracelet is now completed! 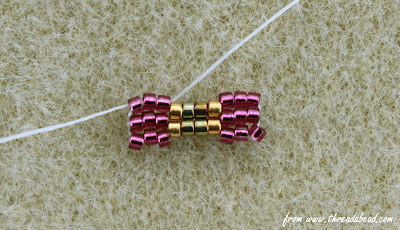 We hope you have enjoyed beading this bracelet, please check out www.threadabead.com for over 3000 unique and exclusive bead patterns!